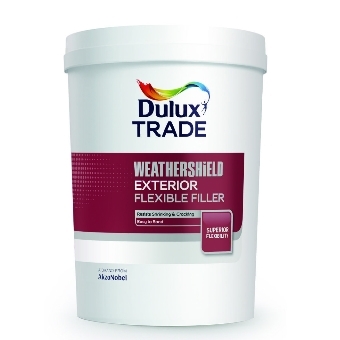 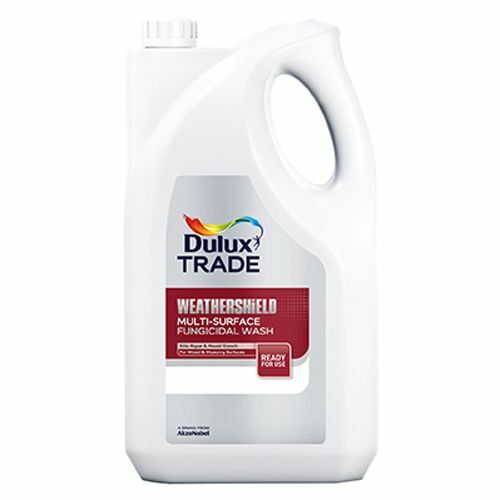 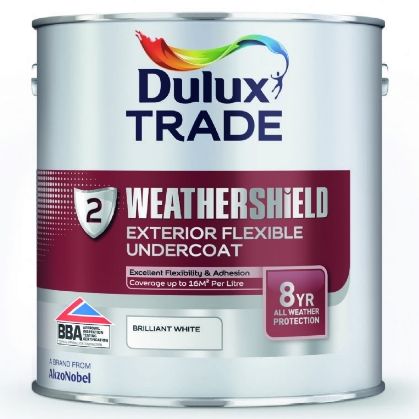 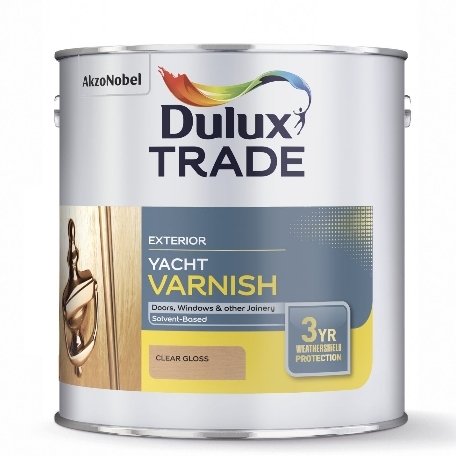 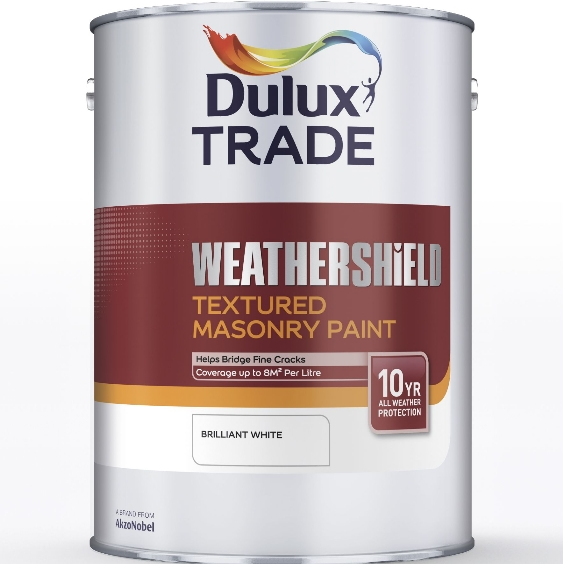 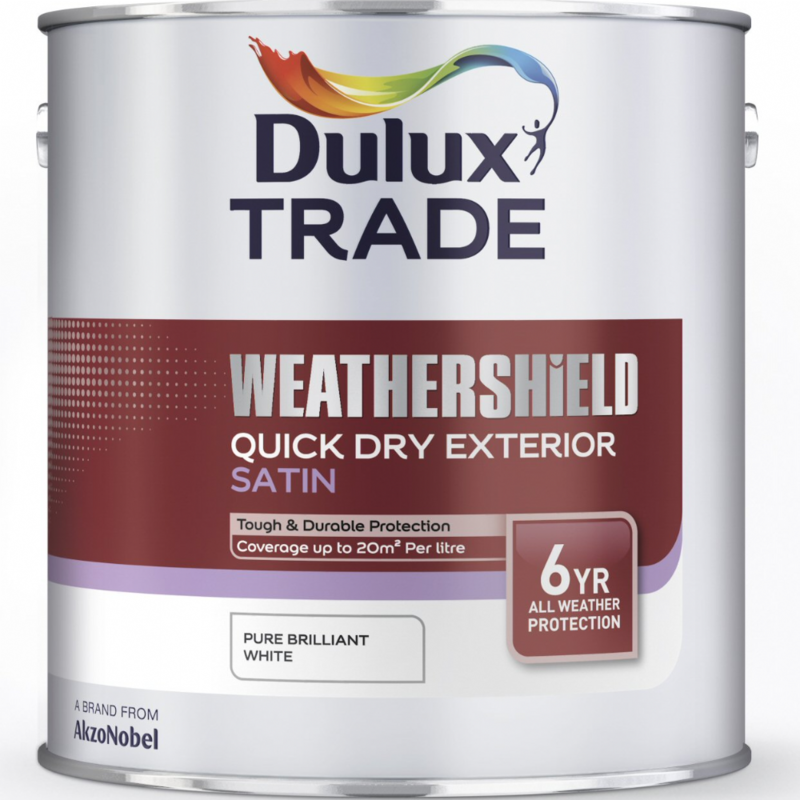 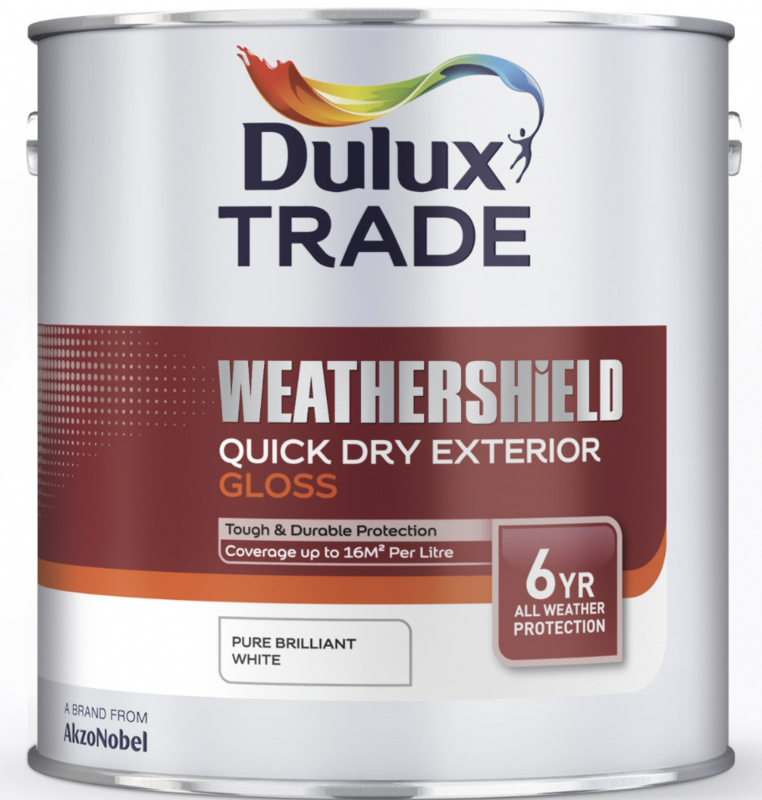 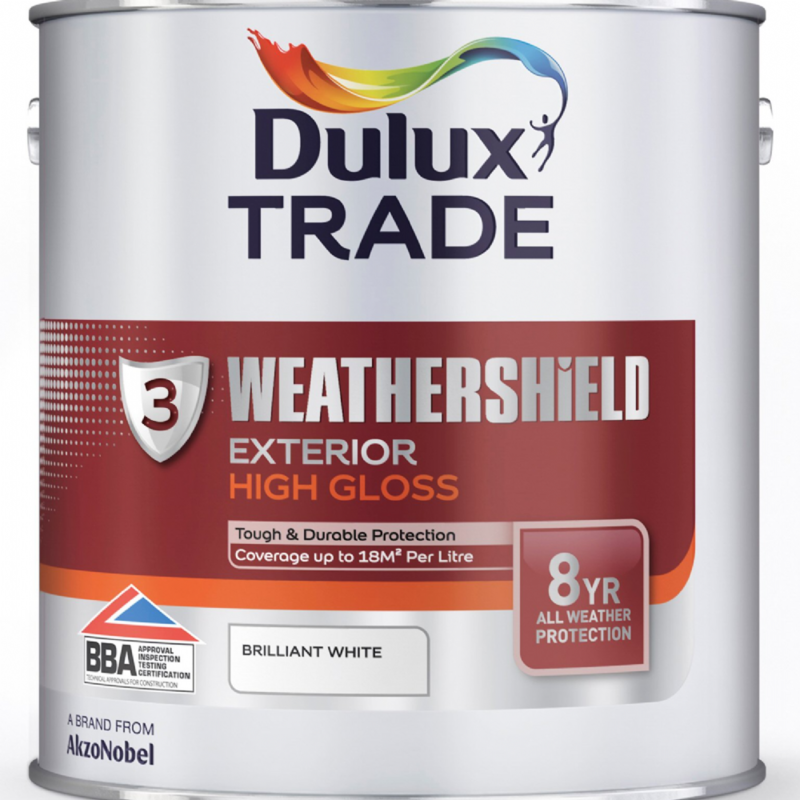 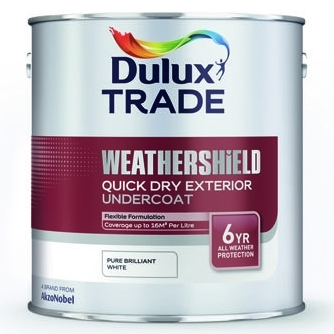 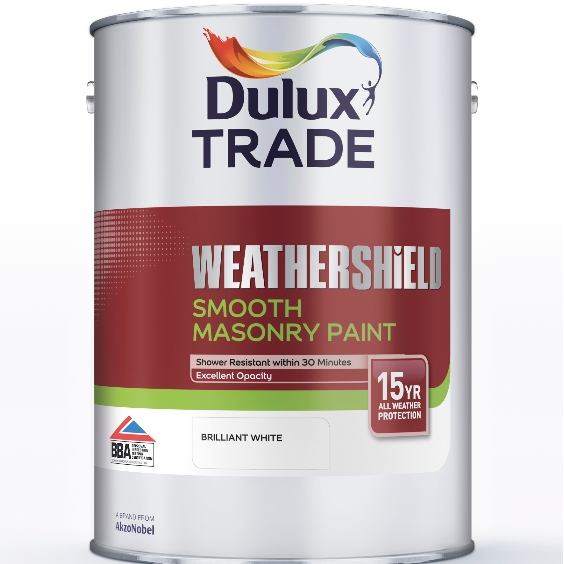 Dulux Trade Weathershield range. 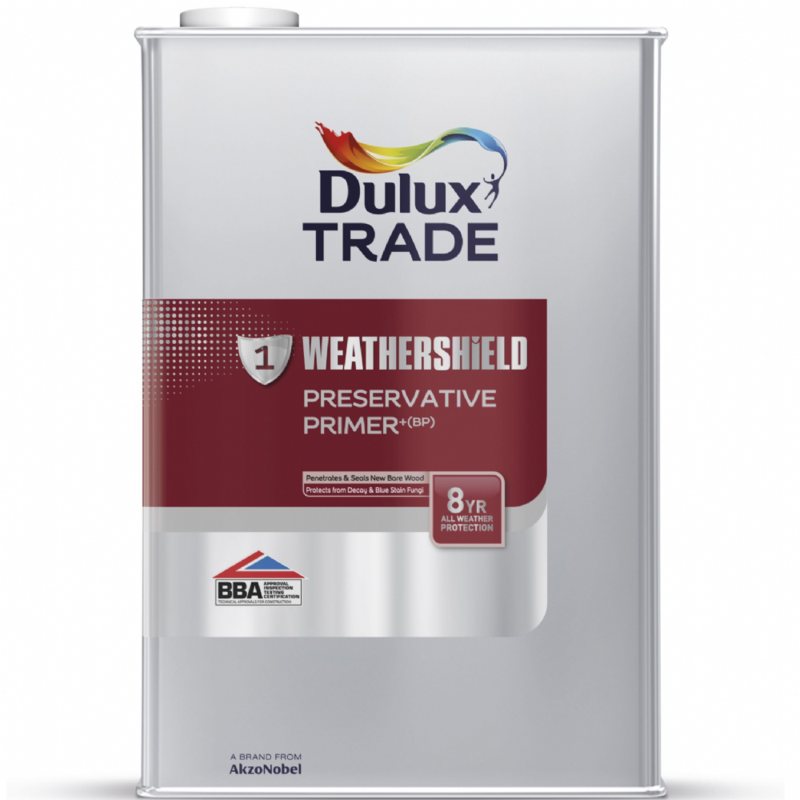 Weathershield products offer unbeatable protection for exterior masonry, wood and metal trim so wherever there is a need to protect and enhance the exterior of a building, Weathershield delivers outstanding results. 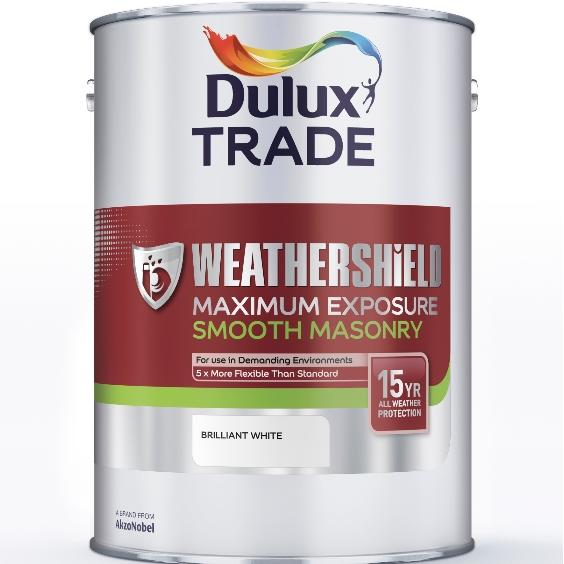 By using the range of Weathershield products you can be confident that you have premium quality products with durability up to 15 years for exterior masonry paint and up to 8 years on exterior woodwork. 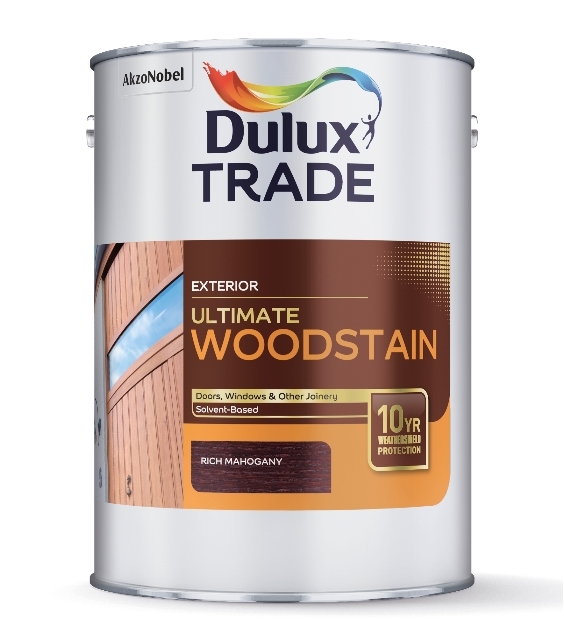 Contains a fungicide to inhibit mould growth on the paint film and help it stay cleaner for longer. 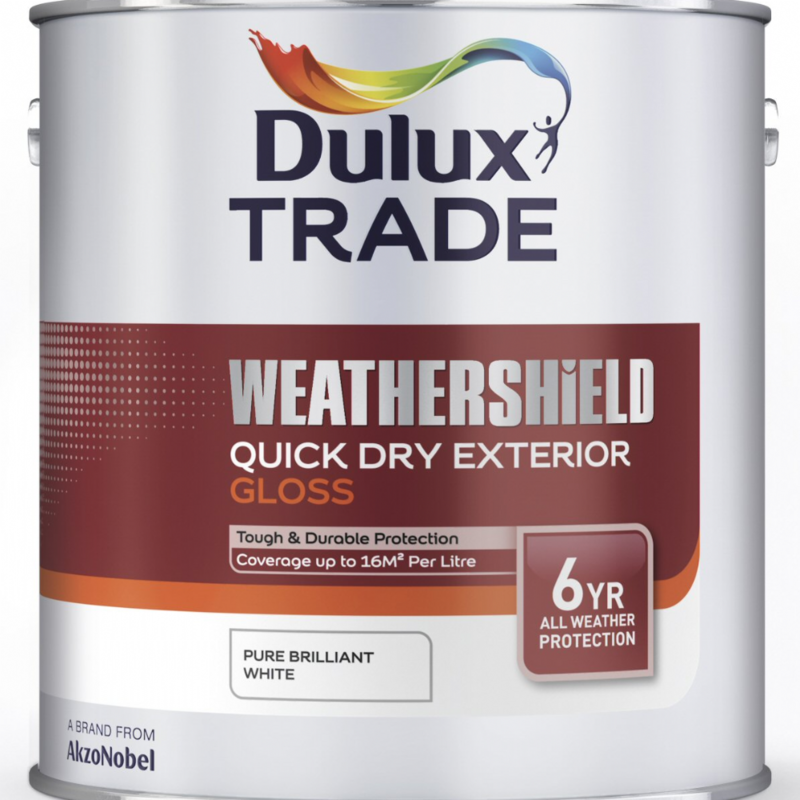 Click here to see Dulux Weathershield Colour Guide.